As the Christmas and New Year season are coming, we would like to share with you guys some of the Christmas freebies which will surely inspire you in your festive projects. Here are 30 high-quality Xmas vectors for designers and developers we've scoured in the internet. Let's enjoy and save what you like. 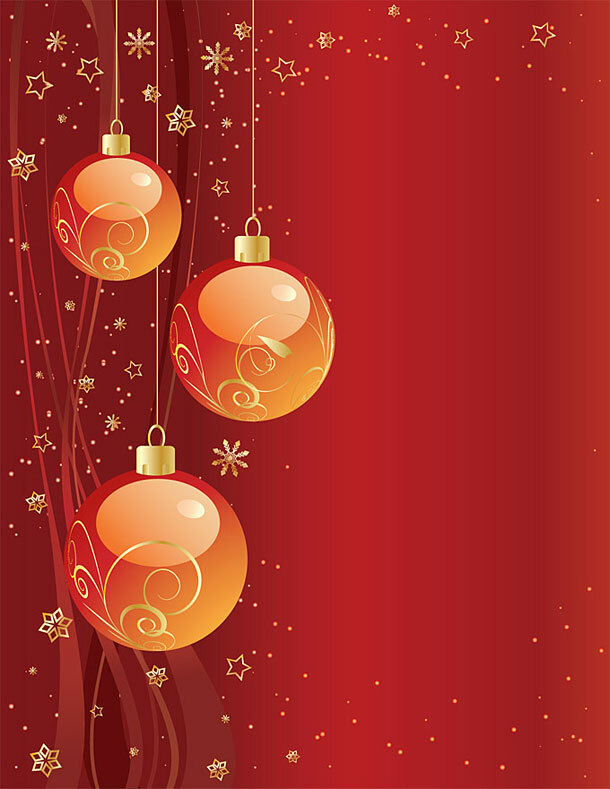 Free Red Christmas background vector with beautiful orange Christmas balls and other Xmas decorations. This is perfect free template for greeting cards and gift certificates. The other beautiful red Xmas card, Xmas is red! All vector graphics come in vector.eps fie format. You will need a vector editing program (such as Adobe Illustrator) to be able to open and modify the file. 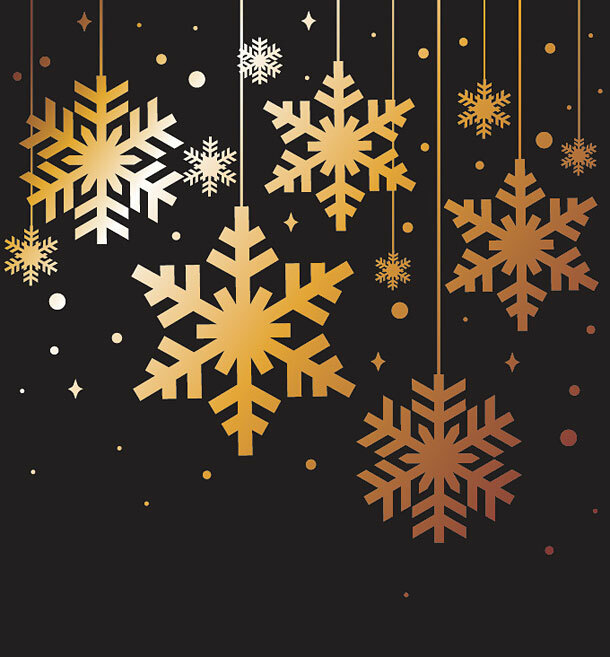 You can use the graphics as a dark snowflake background or as separate Xmas elements. These hanging golden balls could be also useful as Christmas card template. 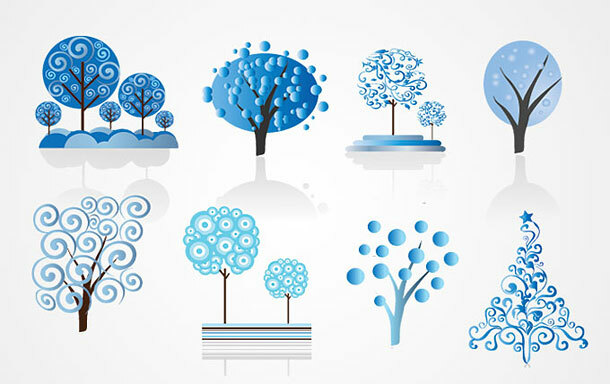 This collection consists of 14 different tree elements that come in blue color and is perfect for your winter or Christmas related designs. 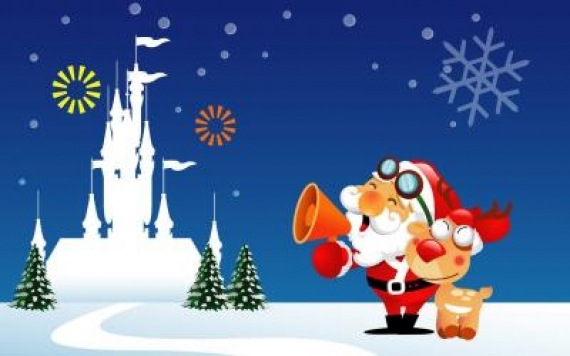 There are perfect graphics for your Christmas greeting cards, posters, websites, etc... 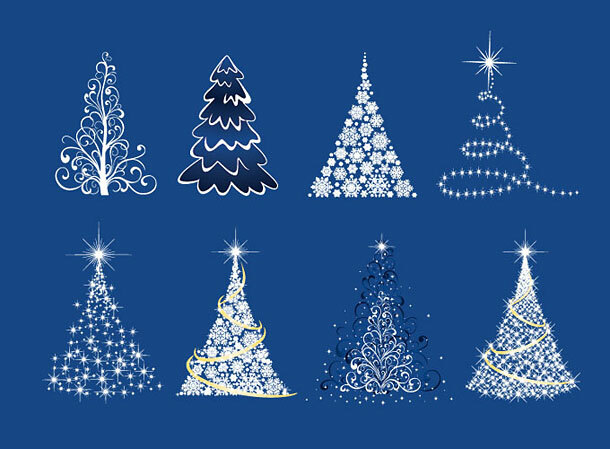 These abstract Xmas trees are white like snow and shiny. This set includes Santa Claus, reindeer, bells, elf, price tag, bottle of champagne, stocking, present, gift bag, lights, candle, snowman, penguin, gloves, snowflake, cupcakes, candy and many more free Christmas vectors. 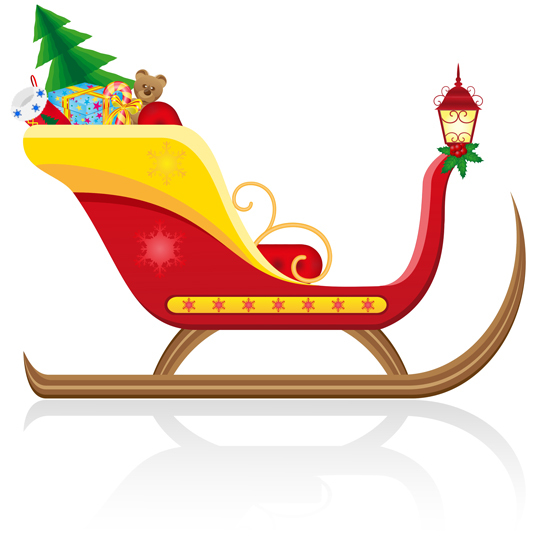 Download these free Xmas illustrations in EPS file format for use in your Christmas posters, gift and greeting cards. This set is a cool icon collection of bear, xmas tree, reindeer, santa claus, xmas sock, xmas gift and much more. You will find 5 Santa Icons with different gesture and 22 ginger bread style icons. All of them are in 128×128 png format. 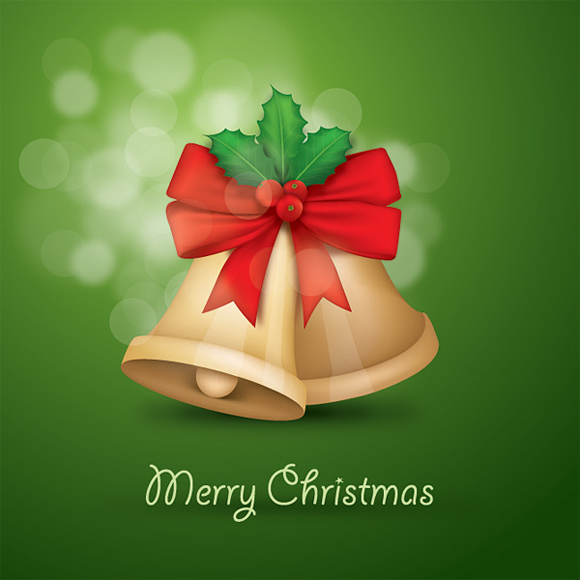 This is a cute collection of Christmas icons in EPS and PDF format. 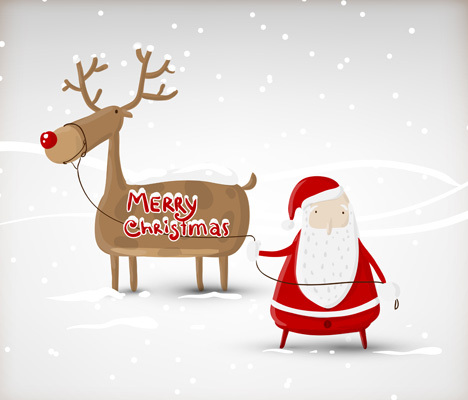 There are Free Christmas vector design elements for greeting cards and festive designs. 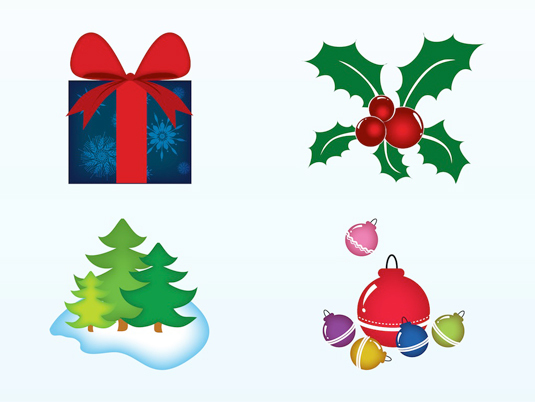 This set includes vector images of a present box, mistletoe, pines, snow and ornaments. 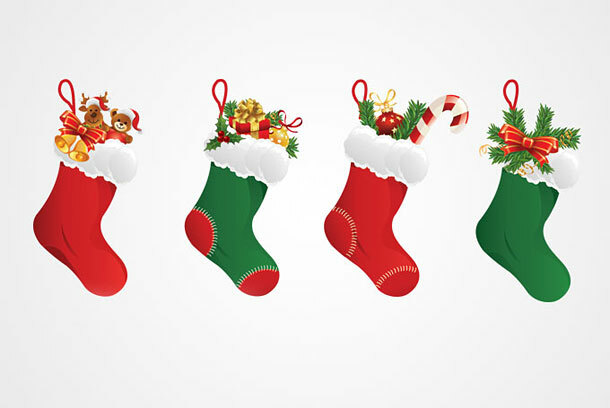 There are 2 sets with 7 vertical and square vector Christmas banners with Santa Claus, Christmas reindeer, elves, polar bear, etc, for your holiday related designs. Format: EPS stock vector clip art. This collection consists of 47 free long shadow Christmas icons. The size of every PNG icon is 512px. There is a premium version of icons is also available in which you will get vector AI file. The set contains 32 fully scalable christmas themed icons available in both .AI and .EPS vector formats. There are 12 icons for the coming Christmas! This set includes several custom shapes for christmas cards. Enjoy! 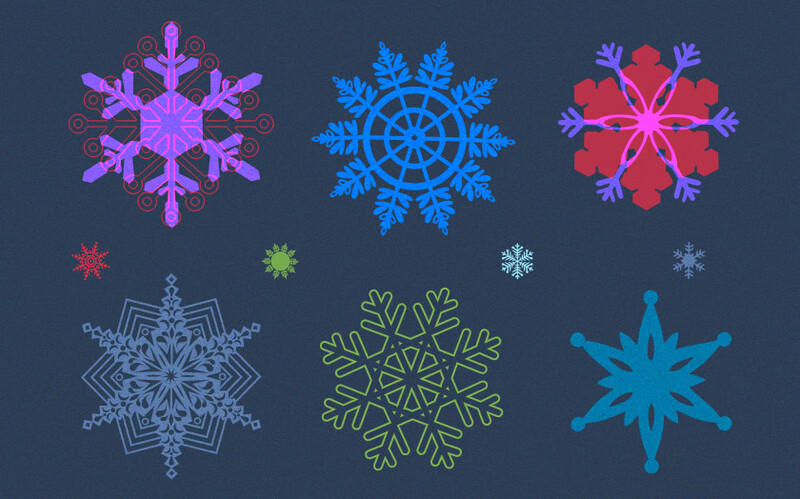 This set of Adobe Illustrator vectors is composed of various shapes of snowflakes. This christmas card template is a great christmas flyer or invitation card to send to your clients or loved ones. 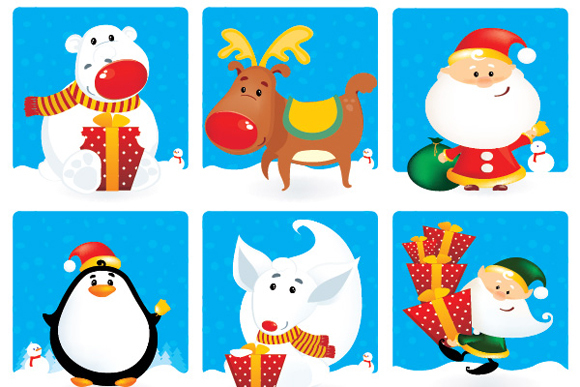 The cute christmas characters make for a lovely cover page either for a single flyer print or a brochure/card format. 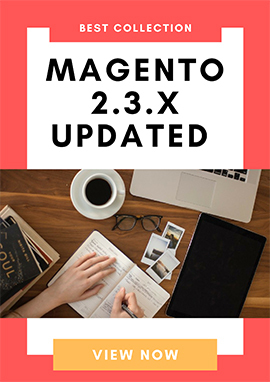 You will get 3 absolutely free email templates with source and HTML files inside from GT3themes. 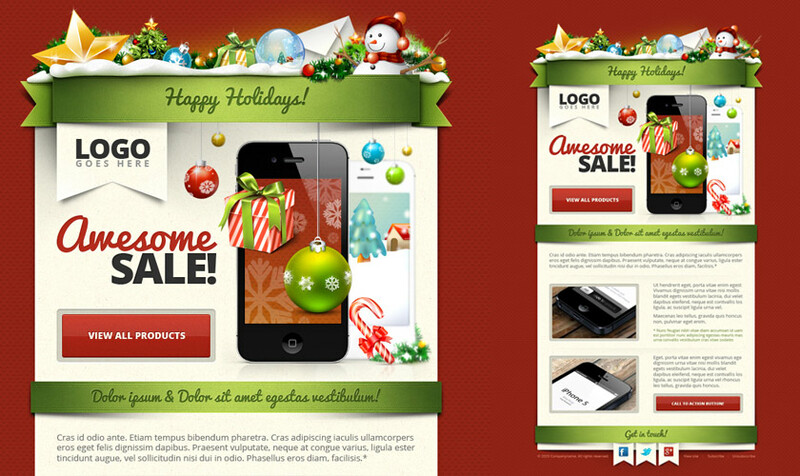 This could be the easy and professional solution for your christmas design. 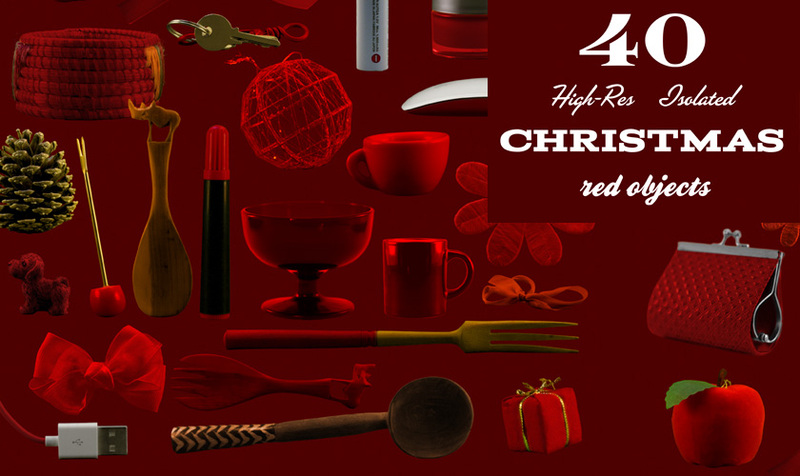 It includes 40 isolated Christmas red objects. All objects are editable, which means that you can remove the red colored tint if you want to use the original version of the object. This is beatiful Christmas pattern sample for your related Chrismas projects. It's editable, so you can change colors to use in your Christmas greeting cards, posters, websites, etc. It's other beautiful and unique pattern sample for you to apply into your festive projects and freely edit colors to perfectly suit your needs. Enjoy this cool Reindeer Patterns with Vintage Style. It also available in any color as you want. 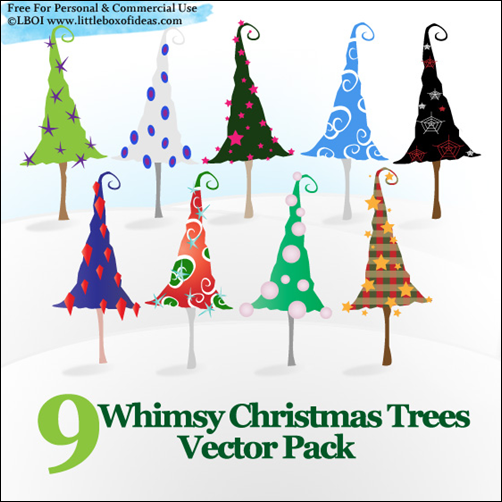 This set is about Chirstmas Bells coming in vector.eps file format. 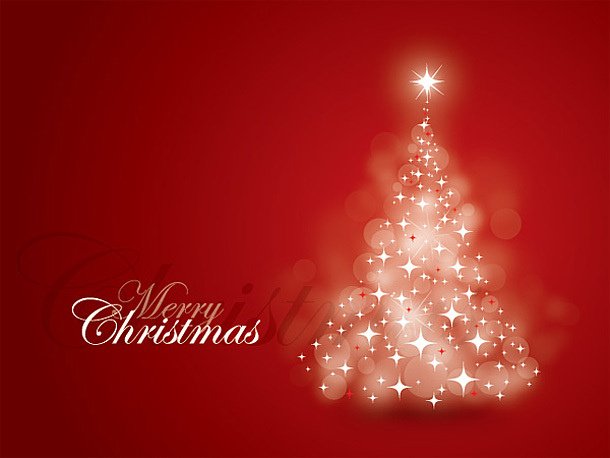 There are two sets of both vertical and square Christmas banners in vector .eps format for this holiday season. Objects include elves, reindeer, Santa Claus, polar bear, a penguin and a few others. Prefect addition to your holiday design projects. 9 Whimsy Christmas Trees that are absolutely cuckoo! It's free for both personal and commercial projects. Hope these Xmas freebies bring you more original ideas for your related festive projects, especially for this Christmas. If you guys know other high-quality Christmas Freebies, feel free to share with us.